New youth drop-in café at St John the Baptist Church, Colwick: 7-8:30pm on Wednesdays. Youth Group runs on the 1st and 3rd Sundays of each month here at Carlton Church, 10:45am. 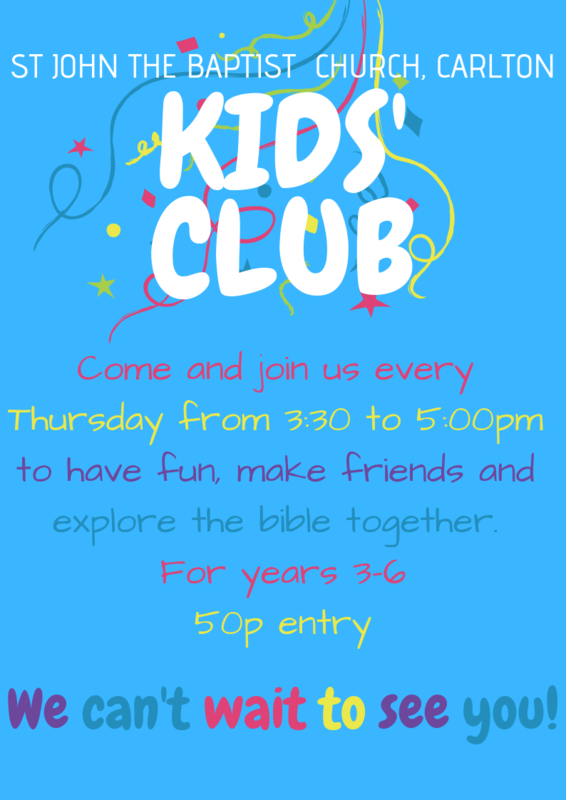 Kids’ Club runs on Wednesdays and is currently free, thanks to a generous donation.